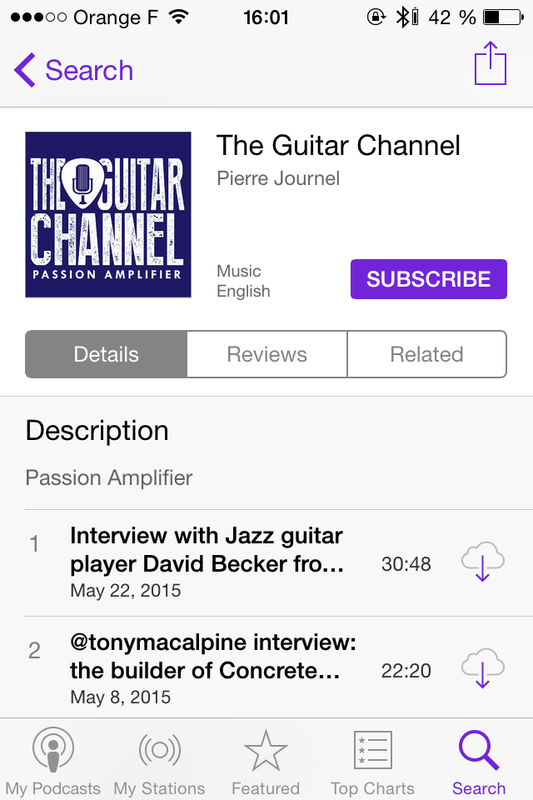 The Guitar Channel produces an audio podcast regularly with interviews with musicians and pros from the guitar world (luthier, builder, etc.). All the smartphone major systems offer a standard podcast app. On iOS the standard Podcast app from Apple is an excellent podcatcher app. In all the articles with a podcast you will find a section similar to the one on the image below. 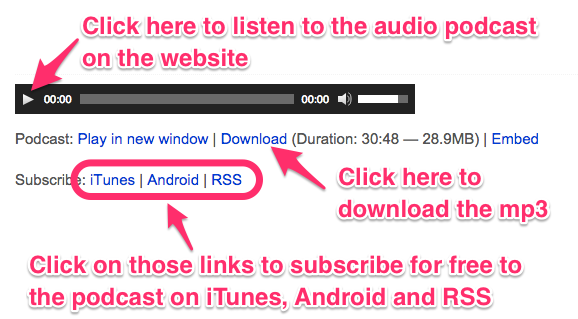 By clicking on the embedded player you will be able to listen to the audio show straight from the web page. 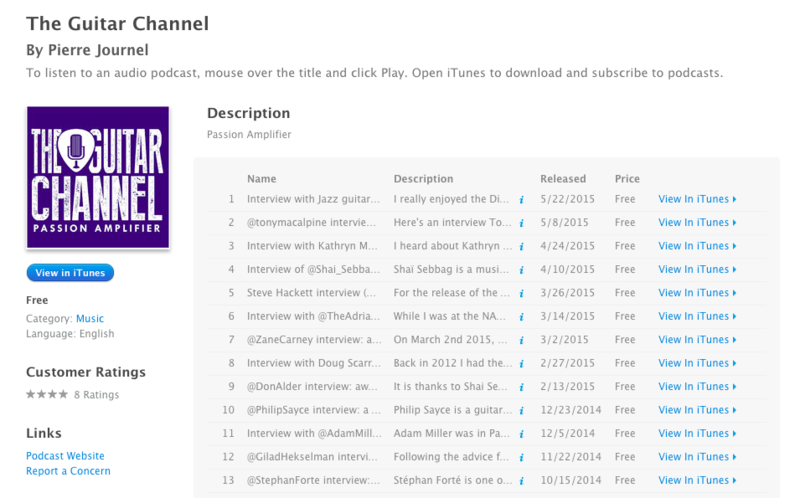 If you want to listen to other guitar podcasts, more and more are appearing online. 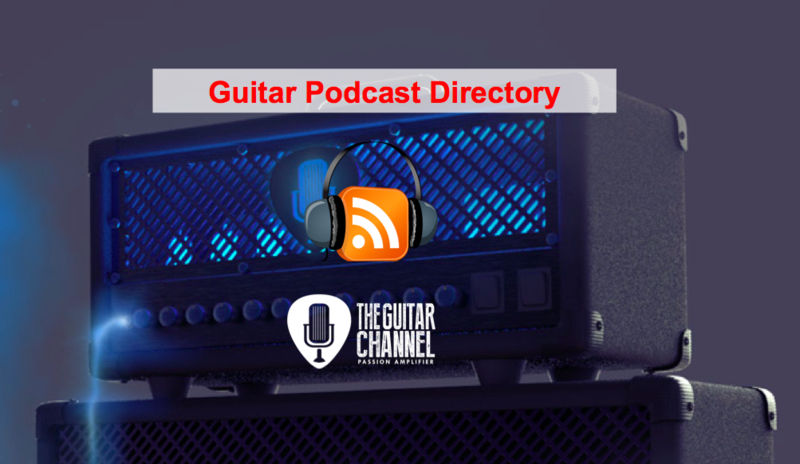 As soon as we stumble a new one, we add it to our Guitar Podcast Directory.